Black rice, oil, salt and nothing else! They are crunchy, wholesomely tasty and totally snack-able! They are gluten free, suitable for vegans and free from anything artificial. 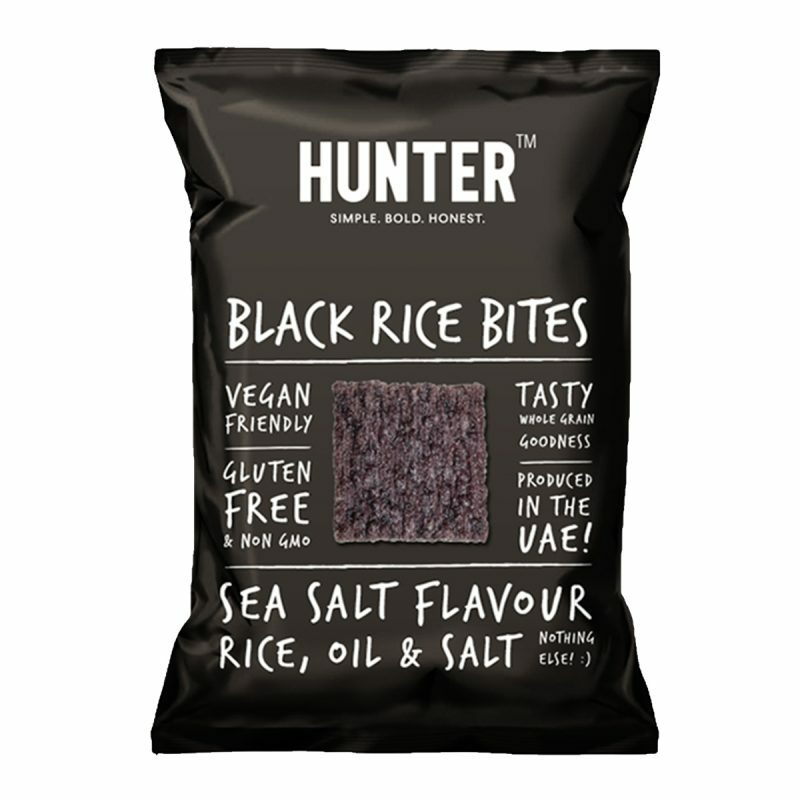 Hunter Black Rice Bites – Sea Salt (100gm) 100gm Packet. 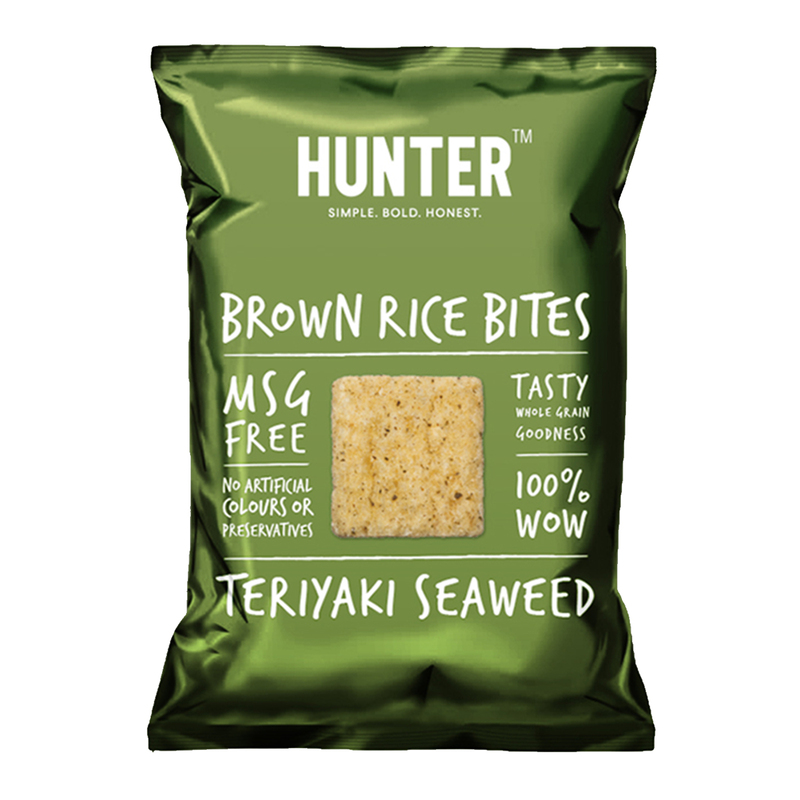 Alternative Snacks, Gluten free, MSG Free, Non GMO, No Preservatives, No Artificial Flavours, No Artificial Colours, Vegan, No Transfat, No Cholesterol, Halal. Whole grain black rice, sustainable palm fruit oil, sea salt. I was recommended by a friend to try these bites, a wonderful taste with a great crispy bite.